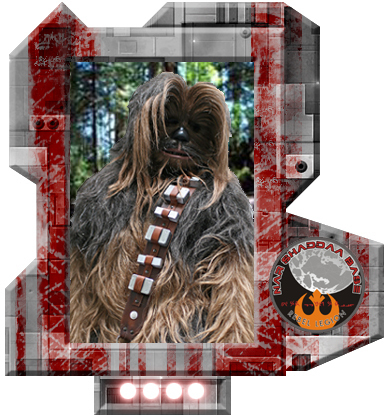 Handmade Chewbacca costume using hair from National Fiber Technologies, the hair supplier for ROTS. Mask has a fully articulate jaw with teeth cast from the original ROTS mold. The mask is also fully hair-punched and the feet are handcrafted. This Costume took about 2 years to make.